Established in the year 2003, Shree Ganesh Trading Co. is one of the pioneer organizations of the business industry affianced in the domain of manufacturing, importing, exporting, trading, wholesaling and supplying an optimum quality assortment of Bags to our respected customers. Fabricated and designed under the administration of our talented and artistic professionals, we make use of supreme in class basic material and highly advanced tools and techniques. 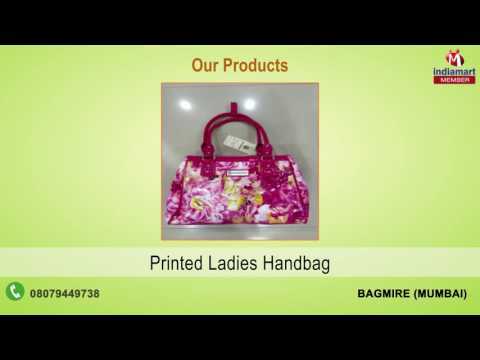 From our huge and wide variety of products, we provide Ladies Hand Bag, Cross Body Bag, Ladies Wallet, Cosmetic Bag and Clutch Bag to the market in diversified designs, styles, colors and patterns.